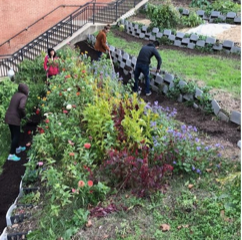 At the University of Maryland campus in College Park, MD, the School of Public Health set up a public community garden to encourage people to see green spaces in new ways and use them to their fullest capacities. 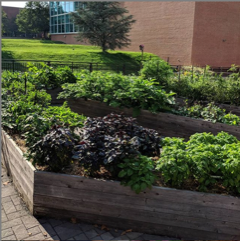 This garden, located outside of Eppley Recreation Center and the School of Public Health, was started in 2010 as a graduate student project, but has since become a joint venture between undergraduates, graduates, faculty, and staff. The goal of this garden is to put into the importance of environmental stewardship, agricultural sustainability, physical activity, balanced diets, and environmental exposures into practice as well as serving as a living classroom where faculty, staff, and students can engage in experiential education on issues directly related to agriculture, community health, public health, and environmental health, according to it Facebook page. “We wanted to create a place where students and faculty could learn about sustainable gardening and the importance of healthy eating as well as letting members take home what they help grow,” Community Garden Director Rudy Dessiatoun said. Since 2015, plots in the garden have been available for rent and in these plots you can grow your own food or flowers with the support of Public Health Garden members. Along with community plots, the Institute of Applied Agriculture has five raised beds that grow a variety of vegetables, fruits, and flowers throughout the year that they use to teach visitors about growing. They also have a pollinator meadow located next to the garden started in 2014, which is an area that ensures that butterflies and bees can continue helping their plants grow. A project they are working on right now is replacing the ornamental crabapples in front of Eppley Recreation Center with a variety of fruit and nut trees. In the community garden, members grow all kinds of vegetables as well as flowers and herbs. They also have several apple trees and fig trees. They have a rainwater filtering system that allows them to collect any rainwater and store it and use in their garden during periods of little rain. To get involved with this garden, all you have to do is contact the team and you can assist planting, pruning, weeding, planning, watering, or harvesting. Members can also take home anything they help harvest that day. Any food that is not taken by volunteers is donated to the campus food pantry. Photo Source: UMD Community Learning Garden Instagram account. 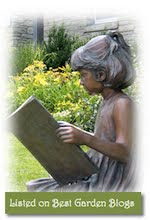 You may have heard me talk about GWA or the Garden Writers Association in the past. Recently, the organization re-branded to become GardenComm (https://gardencomm.org/). We are trying to get the word out that the organization is for everyone in the garden media world -- garden book authors, podcasters, photographers, radio hosts, bloggers, public relations professionals, newspaper columnists, speakers, etc. If you communicate about gardening, you should join up (or renew if you let your membership lapse in the past)! Feel free to use me as your referral!!! 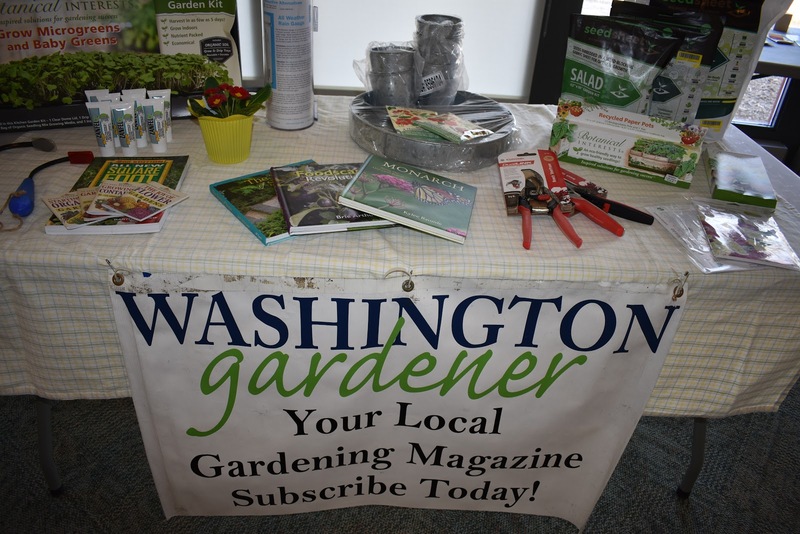 For our February 2019 Washington Gardener Reader Contest, Washington Gardener is giving away five pairs of passes to the Maryland Home & Garden Show (including Craft Show) at the Maryland State Fairgrounds (prize value: $24). 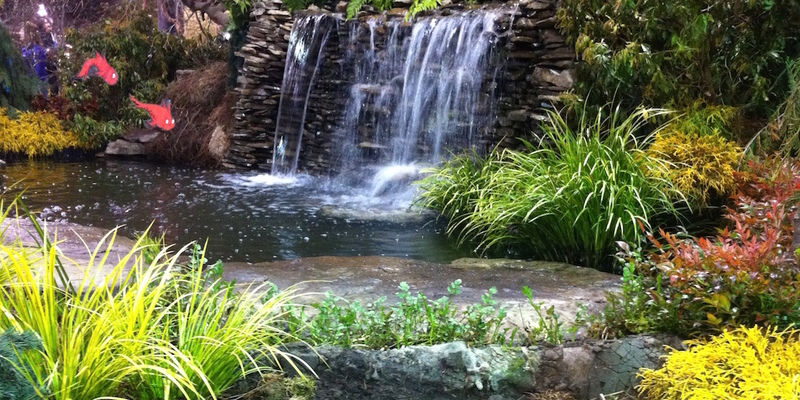 The Maryland Home and Garden Show (www.mdhomeandgarden.com/spring) is back at the Maryland State Fairgrounds for two weekends (Saturday and Sunday, March 2–3, and Friday, March 8–Sunday, March 10) with 400 contractors and experts to make it all possible. There is a Petting Zoo for kids and a Wine Tasting for adults. The Maryland Orchid Society will present a stunning flower show and sale with thousands of orchids on display. Visitors will be amazed at the many varieties of these spectacular flowers! To enter to win a pair of passes to the Maryland Home & Garden Show, send an email to WashingtonGardener@rcn.com by 5:00pm on February 28 with “Maryland Home & Garden Show” in the subject line and in the body of the email. Tell us what your favorite article was in this issue and why. Include your full name and mailing address. Winners will be announced on March 1. 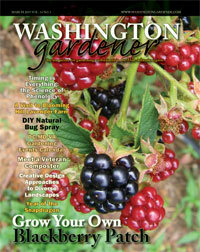 The February 2019 issue of Washington Gardener Magazine is out. · Are Your Soils Too Salty? Note that any submissions, event listings, and advertisements for the March 2019 issue are due by March 5. 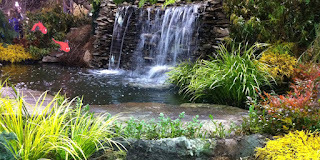 Registration just opened up for three talks I am giving at local public gardens this spring. These fill fast, so sign up soon! Bambi may be cute, but he would love to make a feast of your garden. Learn proven and humane tactics for gardening with deer, rabbits, rodents, groundhogs, and other creatures that are attracted to both edible and ornamental gardens. $18/person. Register online at https://www.fairfaxcounty.gov/parks/parktakes/ using code 27C.63BB or call Green Spring Gardens at 703-642-5173. Video Wednesday: What Brings You to the Seed Exchange? We asked our Seed Exchange attendees to let us know, "Why do you attend?" Their answers were many and varied. 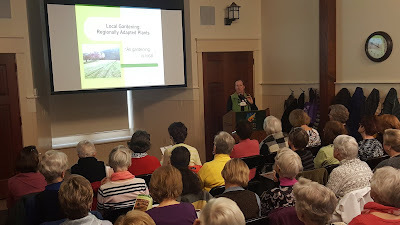 This Washington Gardener Seed Exchange took place on Saturday, February 2, 2019, at Green Spring Gardens in Alexandria, VA. Seed Exchange attendees trade seeds, exchange planting tips, hear expert speakers, and collect goody bags full of gardening treats. This video was shot by John Moseman and edited by Alexa Silverberg. Here are the 17 winners in the Washington Gardener Magazine 13th Annual Photo Contest. There were close to 200 photos submitted in this year's contest from 24 entrants. I know our expert judge had a Herculean task picking out the best of the best! It was great to see several first-time entrants place highly. Many of these photos come from the photographers own home gardens, while the majority of the rest of the images were taken at public gardens in our region. The winners were announced live during the Washington Gardener Seed Exchange on Saturday, February 2 at Green Spring Gardens in Alexandria, VA.
Congratulations to the 2019 DC Garden Photo Contest winners and thank you to all who entered!